Agreed – too little, too slow, too focused on fighting the condition rather than appreciating what is still possible, doable, and vital for all involved. This is surely one of the major civil rights issues of the 21 century. Recognizing the potential, retained abilities, and functional capacity at specific moments in time, with the “just right” support, opportunities, and environment can provide what is needed to continue to promoting living life fully with dementia on board. But it can’t just be about early stages, when people who are living with the condition can still actively and should actively speak for themselves. In my opinion, it needs to address what is still possible until the end life when living with this condition. The challenge is that the ability to speak, process, and communicate in commonly accepted forms is not frequently possible at that point. It most certainly doesn’t mean that someone in that state is not present and doesn’t have an opinion, it does however, create difficulties in interpretation, participation, and interactions with those who are uneducated ill-informed, or self-focused. Much as those with intellectual and developmental challenges were once excluded from decision making and self-determination, those living with dementia are still being lumped together and labelled by our society and legal system into grossly inadequate and unfair categories. Additionally those who would provide the support, opportunities, and environments DO NEED special awareness, knowledge, skills, and competence to provide what works well. It is more than just being friendly, although that is an essential component. The lack of governmental guidance and public mandates to recognize the need for and require the development of training for skilled providers, family supporters, living set-ups, care supporters, public services, medical, legal, and social services, and effective transportation options is astounding. 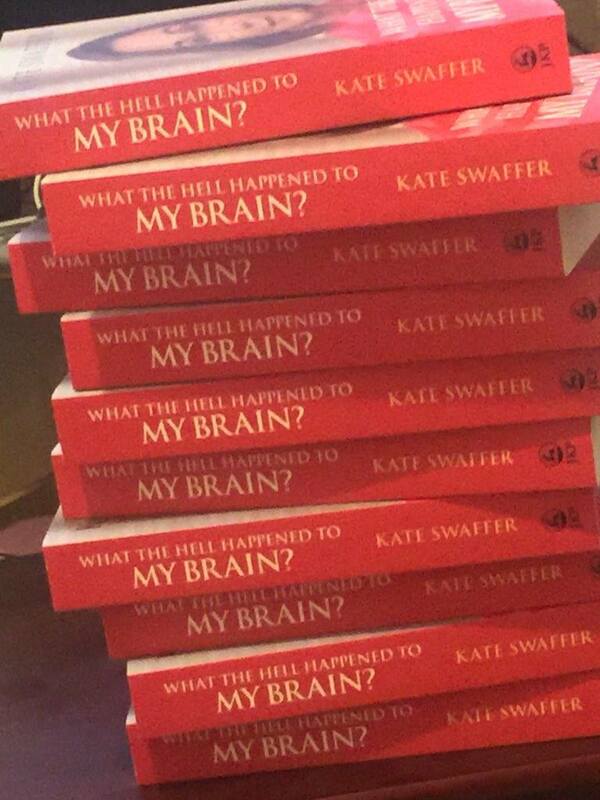 I just received my copy of Kate’s book. I am reading thru it at the moment. Her ability to speak about her personal experience and relate it to common poor practices and myths is powerful and effective. It is going to take a committed world community to create the change being sought. In my limited way, I am trying to do my piece, by helping those who provide “care” and “services and programs”. The point is to get them to reconsider what they think they know about people living with dementia and how to help. The goal is for them to use new knowledge and skill that empower both parties, create connections that work, and provides opportunities and environments that make use of what is possible in that moment, knowing it can change in the next, but being more comfortable with the ability to be able continue to shift as life happens. The question is: Can we get the policy makers and leaders on board with this way of going forward, or will it continue to be about the cure, the loss, the expense, and the fight only? Dementia Friends ought to be small piece of the jigsaw but gets landed with being expected to be the whole jigsaw. The failure to appreciate that improving social care funding for dementia support is far more urgent and potentially will have more impact on those living with dementia now and for the foreseeable future is one of the more breathtakingly stupid things happening with my tax money at the moment.